All TruSpark Designs patterns are buy 2, get 1 free, no code needed. This offer never expires. Here at TruSpark Designs, we think you should always be yourself… unless you can be a mermaid. Then, be a mermaid! 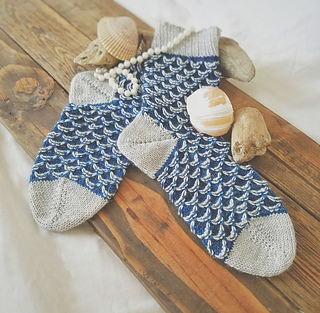 With these quick knit, toe-up socks, you can be sure you will ALWAYS have your sea legs! 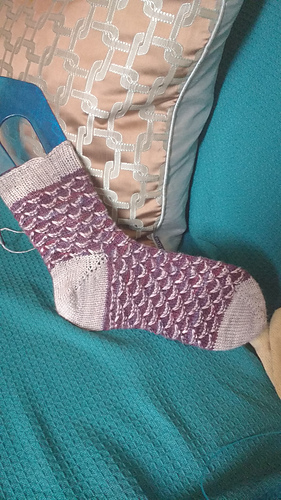 The perfect pattern for that sparkly or variegated sock yarn that’s been calling to you from your stash or LYS, let your whimsy fly--or swim!